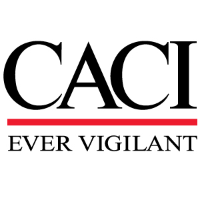 CACI is seeking DMSMP GEOINT Support to provide GEOINT System Administration, network, and mission support to an integrated array of systems within AF DCGS. Perform a full range of software maintenance activities and communicate corrective actions to various locations and site personnel. Analyze system performance and make recommendations on system improvements. Install and verify system upgrades. Subject matter expert, guide customers to make informed decisions regarding operations and system sustainment. This position requires experience with large scale system maintenance, troubleshooting and support. Extensive knowledge in one or more of the following areas is required, Solaris System Administration for SUN Servers and Workstations, UNIX, shell scripting, Oracle or WebLogic. Familiarity with geospatial intelligence gathering, analysis and dissemination, exposure to C/C++, Telecommunication Systems and Troubleshooting, Cisco Routers, ATM Switches, Bridges, Socet GXP, VMWare/vSphere/ESXi, NITF and STANAG 4607 standards, and prior domain DCGS experience.